Rattle That Lock will be the title of David Gilmour's next solo album. The Pink Floyd veteran shared the title and a bit of additional info about the release while participating in a writing conference Saturday (6/6) in Carlow, Ireland. 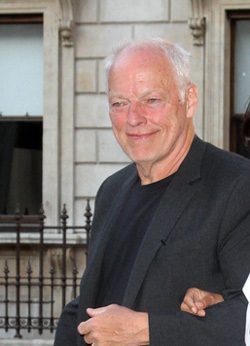 Gilmour and his wife shared brief segments from a couple of the tracks of the album with others attending the 2015 Borris House Festival of Writing and Ideas. The release of the album will coincide with a brief European tour that is slated to open on September 12 in Croatia.